Hearts manager Craig Levein praised his players for dealing with the pressure of being favourites after they secured their place in the William Scottish Cup final with a 3-0 win over Inverness. 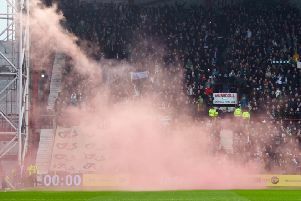 Second-half goals from Uche Ikpeazu, John Souttar and Sean Clare moved the Tynecastle side into the May 25 showpiece against either Celtic or Aberdeen after a cagey opening period. 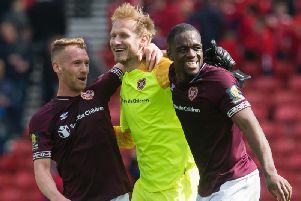 Ikpeazu’s 49th-minute opener settled the nerves on semi-final day and with the exception of a Joe Chalmers free-kick that was expertly saved by Hearts keeper Zdenek Zlamal, the Jambos controlled the second 45 minutes and Souttar’s strike and Clare’s penalty secured victory. “I’m so pleased and proud of the players for the way they dealt with the pressure,” said Levein. “The pressure was the thing that was against us. We have more ability than Inverness, but with that comes more pressure. That goes with athleticism and pretty much everything on the pitch. That’s why we’re favourites and sometimes being favourites does make you worry about losing.